Two-sentence summary: When Amanda Hardy moves to live with her father after transitioning to female, she just wants a peaceful and low-profile high school experience. But when she falls in love with her kind, complicated classmate Grant, she wonders how deeply you can love someone while hiding so much of yourself. What I loved: For a novel that deals with some heavy topics (including suicide, sexual assault, and drug abuse), this is a wholesome story. I enjoyed how the chapters alternated between Amanda’s senior year and her memories realizing, coming to terms with, and finding confidence in her trans identity. It felt like If I Was Your Girl explored the complexities that come with transitioning well… which makes sense, since the author is a trans woman herself and has lived it. At the beginning of the novel, Amanda considers herself “fully transitioned”—she socially transitioned, takes hormone therapy, and received gender confirmation surgery. Unless she wants to tell others, nobody would ever have to know that she’s trans. Yet she questions to what extent her trans identity is part of her story and, if it is, whether telling others is worth her safety. None of the questions have easy answers, but Amanda works through them in a way that gives her comfort. 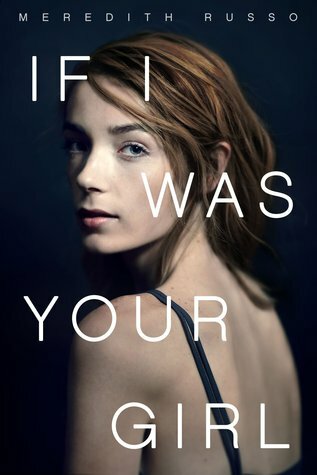 Also, side note that has nothing to do with the story, but not only is this written by a trans woman (the first trans YA book I’ve read by a transgender author, by the way), but the model on the cover is also a trans woman. Not to speak for trans women but as a trans guy, that feels like positive and much-needed progress in YA publishing. Recommended: One hundred times yes! I almost hesitate to say this just because there are so many good queer books but, if you choose to only read one transgender YA novel, I think it should be this one. We need more books about trans/non-binary people written by trans/non-binary authors. You can feel the authenticity of this experience in a way that I haven’t felt in other trans YA books before. The author doesn’t just feel sympathy for trans people but genuine empathy, and I think you can pick up on that. That being said, I would love to read more books by trans and non-binary authors. If anyone has recommendations, be sure to leave a comment! One sentence summary: Logan Witherspoon grapples with transphobia, internally and externally, when his high school crush Sage Hendricks reveals a secret: she is a transgender woman. What I loved: This book presents a real depiction of trans students in unaccepting areas. Logan and Sage begin a relationship in a small and very LGBTQ-phobic town, and their relationship comes with serious pressures. Sage, who was homeschooled until her senior year, fights to hide her gender identity to avoid verbal and physical aggression. Logan, (who is until this point ignorant of queer issues) experiences anxiety over whether others would consider him gay for dating a trans woman, as he himself tries to define what his sexual orientation is. Their relationship is complicated and not without flaws, but what relationship is? And watching Logan’s progression from confused and a little homophobic to someone who sees Sage as who she really is feels very authentic. 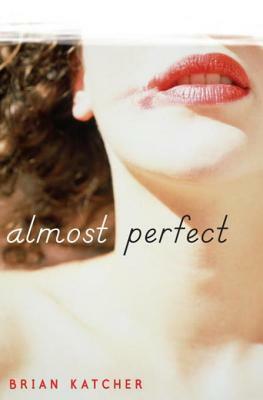 In addition, Almost Perfect explores the conflict between a trans person comfortable with their gender identity in a world that isn’t quite ready. Sage’s parents love her a lot but very much mourn for a son they feel they’ve lost. The grey area between hostility and unwavering acceptance is an uncomfortable-but-necessary relationship to portray, as many trans people can relate. What I didn’t love: Although a voice worth hearing, this book doesn’t go beyond the general “coming out” trope seen in many LGBTQ stories. A positive relationship between a cis man and a trans woman is important to see in fiction, but the characters do not progress beyond this initial concern to make their story unique. In addition, our protagonist Logan is narrow minded when it comes to transgender issues. Even when dating Sage, he still refers to her for much of the novel as “a girl, but not a girl.” She is distinct from other women in that she is trans and, in Logan’s eyes, not quite female or male. Near the end of the novel, he finally begins to see and respect Sage as a woman, but it takes him a long time to get there. While this is likely accurate for his age and life experience, he does not treat Sage with the respect she deserves. I understand what the author was going for but feel that having a narrator like Logan could spread more misunderstanding than help for trans women. Recommended? Yes. This book is especially useful for teens unfamiliar with trans people and want to know more. It should be taken with a grain of salt, though, because Logan and his peers live in a very transphobic town. Some of the ways he refers to trans people earlier in the novel (as “a boy who wants to be a girl”) are not accurate nor okay to use.